The Dodgy Perth office has never lost a pet galah, so we can’t imagine the pain it must cause when something like that happens. But Freo resident Reginald Freeman knew what it was like in January 1930. 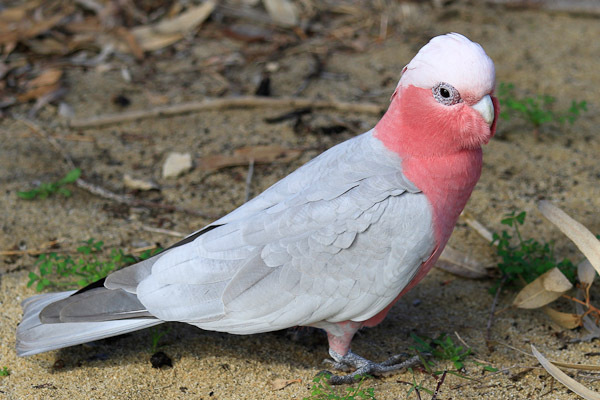 Reg placed adverts in the newspaper, but still his pink and grey galah was missing. Then one day he was passing Emma Matthews’ house in Fremantle and he heard a squawk he recognised. Banging on the door he demanded Emma return his property. But Emma was made of sterner stuff than that. She had owned this particular bird for eighteen months, so it was definitely hers. After repeatedly harassing Emma at home, the affair ended up at Fremantle Police Court. The court asked Reg how he knew this galah was his. Which was a fair question. He said he could identify the bird because it had been trained to say “Puss Puss” and “I want a drink”. The court ordered the parrot be brought forth and it was placed on the magistrate’s bench. However, despite Reg’s best efforts, the stubborn bird refused to talk. He tried over and over again to get it to say “Puss Puss”, but the bird just sat there in silence. In a final attempt to persuade the magistrate, Reg picked up a tin of water and placed it in front of the bird. The galah kicked it over. That, said Reg, was proof it was his bird. What other bird would kick over its water? “Your evidence is rotten,” he screamed at poor Emma. The bemused magistrate was not convinced. “I have seen plenty of birds do that”, he said. Emma got to keep her galah.